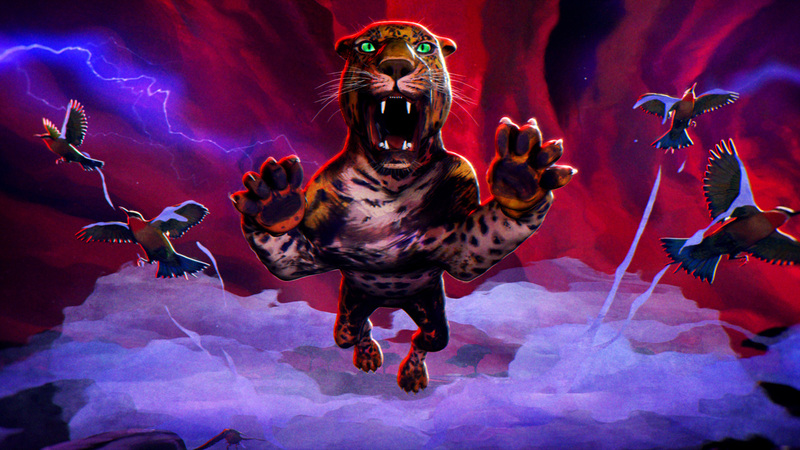 M&C Saatchi and Gentleman Scholar Unleash Vibrant "Africa Rocks" Campaign for the San Diego Zoo's Sensational New Exhibit. Nearly two years after the historic groundbreaking ceremony for the largest expansion in its 101-year history, the San Diego Zoo is very proud to be opening its Conrad Prebys Africa Rocks exhibit. With the new habitat exclusively dedicated to plant and animal species from Africa, San Diego Zoo Global chief marketing officer Ted Molter and his colleagues have also commissioned a vibrant integrated marketing campaign sure to inspire and engage people of all ages. The "Africa Rocks" campaign from advertising agency M&C Saatchi was developed with creative production company Gentleman Scholar, and includes a :30 "Anthem" TV/web spot, six :15 spots and numerous artworks that will play out on the Zoo's social media channels in the weeks ahead. "By choosing the name 'Africa Rocks' for the Zoo's newest habitat, we knew rock and roll would play an important part in telling our story," Molter began. "Our collaboration with M&C Saatchi LA and their creative partners brought the spirit, nostalgia and diversity of rock to this amazing collection of engaging content, setting the stage for an unexpected African experience showcasing the Zoo's Rock-stars - penguins, lemurs, baboons, meerkats, crocodiles and leopards." "The team was given an incredible creative opportunity with the exhibit's name 'Africa Rocks.' We were inspired to illustrate the diversity of habitats and animals through familiar rock themes and iconography we all grew up with," noted M&C Saatchi LA associate creative director/art director Ron Tapia. "By implementing a different style for each media and habitat, the "Rock" theme was consistent, but every piece of creative felt both fresh and a little familiar at the same time, appealing to the San Diego Zoo's wide audience." For Gentleman Scholar's co-directors William Campbell and Will Johnson, the imaginative creative briefing presented them with a matrix of animals, environments and illustrative design styles. "Six of the world's most fascinating animals, six of the most iconic animation styles in history and six spectacular mini stories with dynamic transitions: That's definitely worthy of any superlative we can think of," Johnson commented. Fans of Gentleman Scholar's distinctive body of work might well refer to this project as "Bleacher Report meets MTV for the Animal Kingdom." And while the Wills, their art director Michael Tavarez and their fellow designers faced a challenge in limiting their choices, in the end, Campbell said, "Every aesthetic is perfectly curated for the energy of the moment. Seamless transitions between styles were also key to us; a lot of time and energy went into the baton-pass from one world to the next, as each hero animal segues to the next." While each animal's actions are limited to just a few seconds in the "Anthem" spot, each of the six :15s is set within its own habitat. 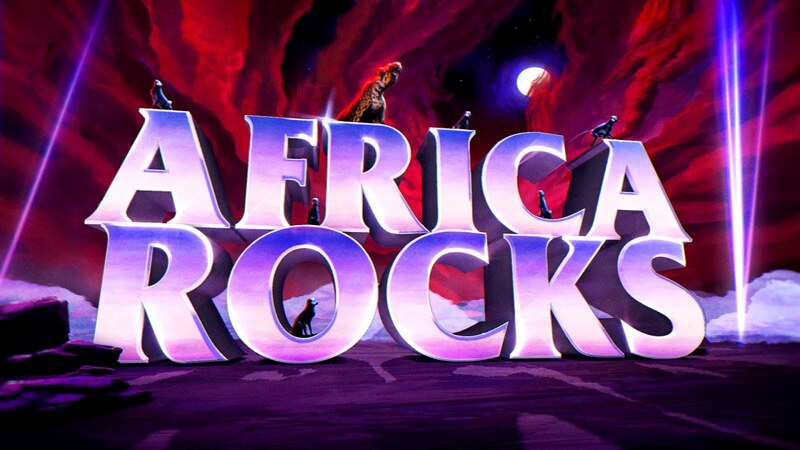 This gave the designers – and the hero animals – the opportunity for more story depth before leading to iconic lockups with their own distinct "Africa Rocks" logo treatments. "Another great opportunity to flex our creative muscle came from the task of creating over 30 different San Diego Zoo and Africa Rocks '90s-style logo designs for the campaign," Tavarez added. "We wound up establishing a wonderful style guide that was vital for moving into animation." From the start, this project's far-reaching visual aspirations had the Gentleman Scholar team fully engaged, especially since they understood the stories would have wide appeal well beyond traditional media. "To us, the animation portion of this campaign translates perfectly into a social world," Johnson added. "We love telling stories that break boundaries. Our goal is to utilize the assets we create in new dimensions. To us, the more shares and likes, the better." For every distinct visual style there was an equally thorough exploration of music and sound design. From metal to 80's synth to sitars and record scratches, the spots were scored to sonically grab and transport viewers to other decades and genres. Campaign music is courtesy of Yessian, with Margarita Mix in Santa Monica onboard for VO record and final mix. For San Diego Zoo Global, campaign credit goes to chief marketing officer Ted Molter, marketing director Debra Erickson, and associate directors Damien Lasater and Mike Warburton. M&C Saatchi's team consisted of director of content production Dennis Di Salvo, executive creative director Maria Smith, ACD/art director Ron Tapia, ACD/copywriter Ben Lay, copywriter/art director Stephen Reidmiller, group account director Mike Wilton and account director Makeia Carrier. Complete project credits are available upon request.